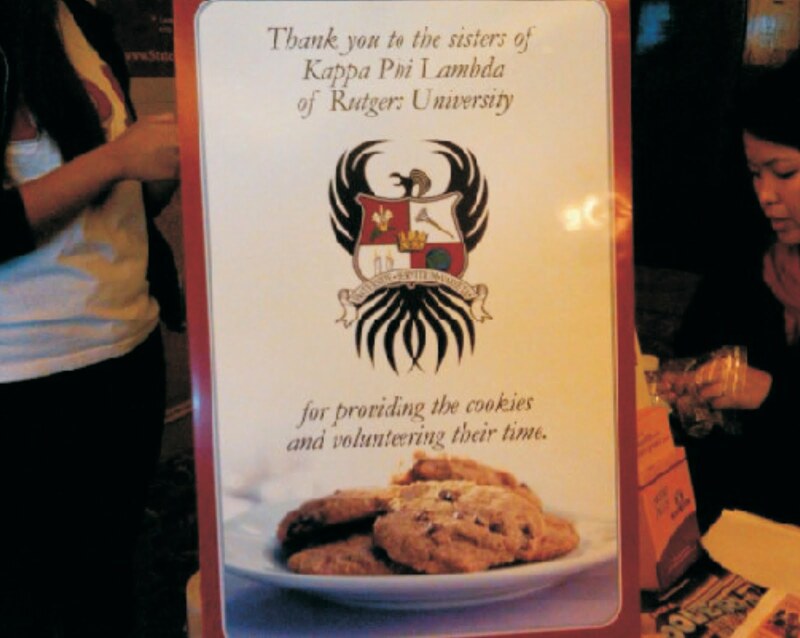 Kappa Phi Lambda Sorority lends a hand and bakes cookies! We were delighted to see the joy in the young children as they collected their cookies and milk, as we reminisced to our own childhood where milk and cookies were a divine combination and treat to always look forward to. Our Sisters also prepared a milk-free and egg-free batch of cookies and lo and behold, there was a young boy who had egg allergies. Being able to help a child who was originally excluded from the joy of cookies, was extremely rewarding. The Kappa Sisters were more than happy to put in our time to bake and volunteer at the event, as it was fun, eye-opening, and we love to help our community! We would gladly and enthusiastically do this again.